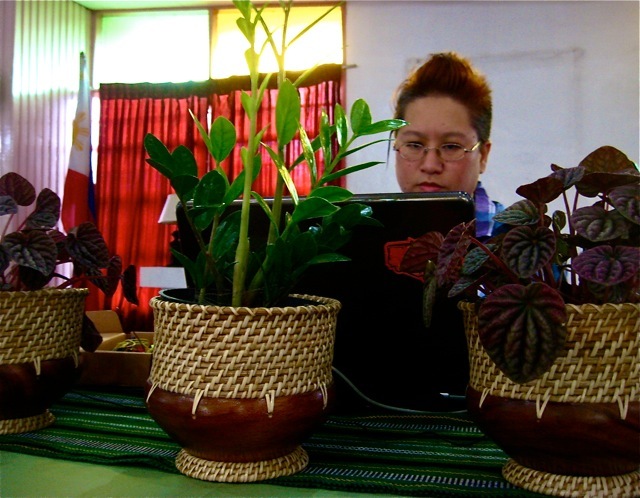 _"In her multi-layered interactive installation Jo SiMalaya Alcampo makes plants into the keepers of a collective cultural history triggered by human touch." "The singing plants are the most user-friendly works of art that I’ve experienced in a long time...communicating with a houseplant is a geek treat extraordinaire!" "Jo SiMalaya Alcampo, a powerful calming force, welcomes us. She sits on a carpet amongst plants arranged in a semi-circle. The audience is drawn closer to form another semi-circle: plants and audience now embrace Jo. Our Experience is transformed by the way we engage with each other. Jo tells us she grew up in her Lola’s (Grandmother’s) garden beneath the banana leaves, protected from the hot sun of the Philippines. As she speaks, a red spotlight lingers on the varnished wooden floor like a sunset...we are in a garden; Jo’s words and gestures transform our surroundings. Have we been here before? What we cannot remember is how the plants sing!